Oh, I just love this time of the year! I received this submission several months ago but wanted to wait until the perfect time to feature it. 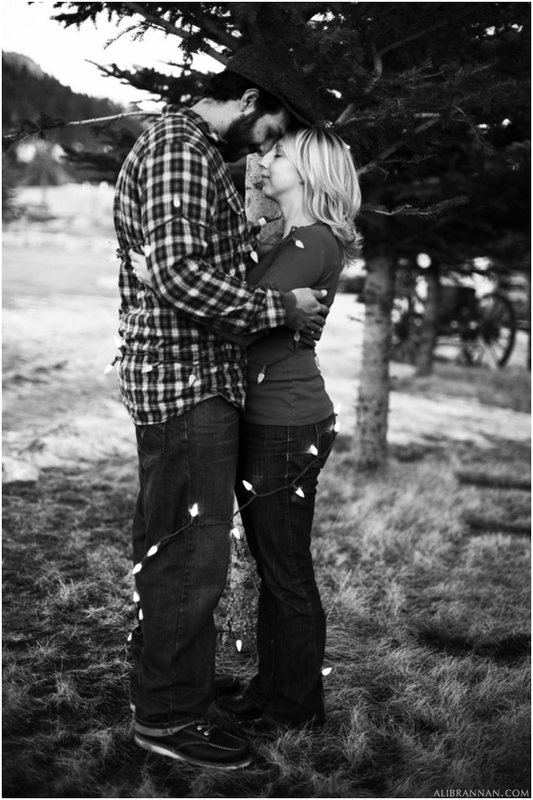 This Colorado engagement session was photographed by Ali Brannan Photography. Thanks Ali for sharing it with us! 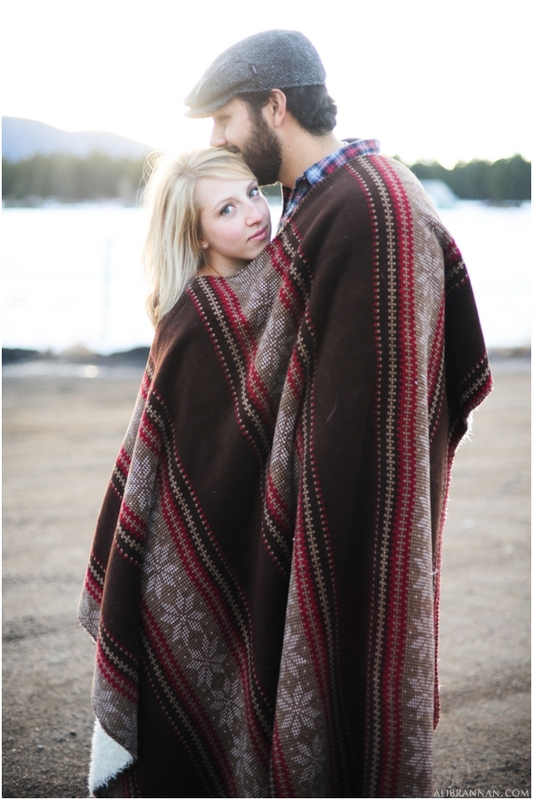 The proposal: My boyfriend, Joe, and I flew home to Colorado for his older brother's wedding. He was the best man and I was one of the bridesmaids. Joe had been acting a little strange all day, but I thought that it was just because he was really nervous to give his best man speech, which he had been practicing over and over all week. The speech came and went flawlessly, and yet Joe was still acting a little weird. Later on, Joe ended up catching the garter, and everyone in the family teased us that he and I would be next to get married. I played along, but I had no idea that they were right. After a saucy spin around the dance floor to 'Let's Get It On,' Joe ran over and spoke to the DJ with his brother. I walked over to him and he told me that he was going to thank everyone for coming again. I sat down next to one of the aunts and joked, ‘Joe gives one good wedding speech, and now he thinks he’s a professional!’ Joe started out by asking how everyone was doing, and of course they all clapped and cheered. He turned to one of the uncles (who had no idea what was going on) and asked him what it meant to catch the garter. The uncle replied that it meant that Joe was next. Joe asked, ‘Next for what?’ The uncle replied, ‘Oh boy. Next to get married.’ ‘Married? !’ Joe said, trying to sound surprised. The uncle followed with, ‘Oh, don't ask me. Talk to Nicole about that one.’ Joe then turned to where I was standing and asked if I would please come over to him for a second. I got up and as I started walking over he got down on his knee and said, ‘Nicole will you please marry me? 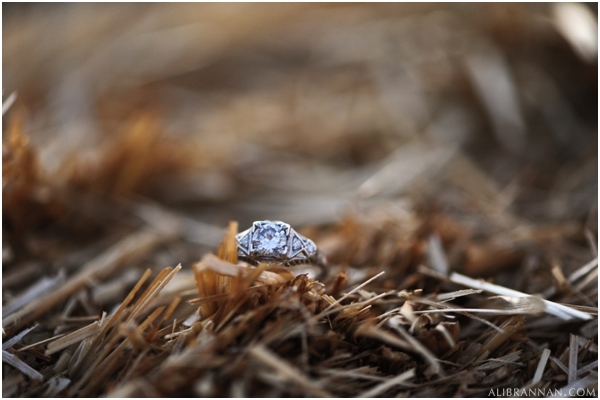 I love you so very much.’ Then he pulled out his great-grandmother’s ring. In shock, I started crying and hugging him. I didn't even remember to say yes! We turned to everyone, and his mom came over to give me the biggest hug. She said she never imagined she'd gain two daughters in the same day!